Born in the Rhymney Valley, Rachel Byrt graduated from City University, London with a Bachelor of Science in Sound Engineering. 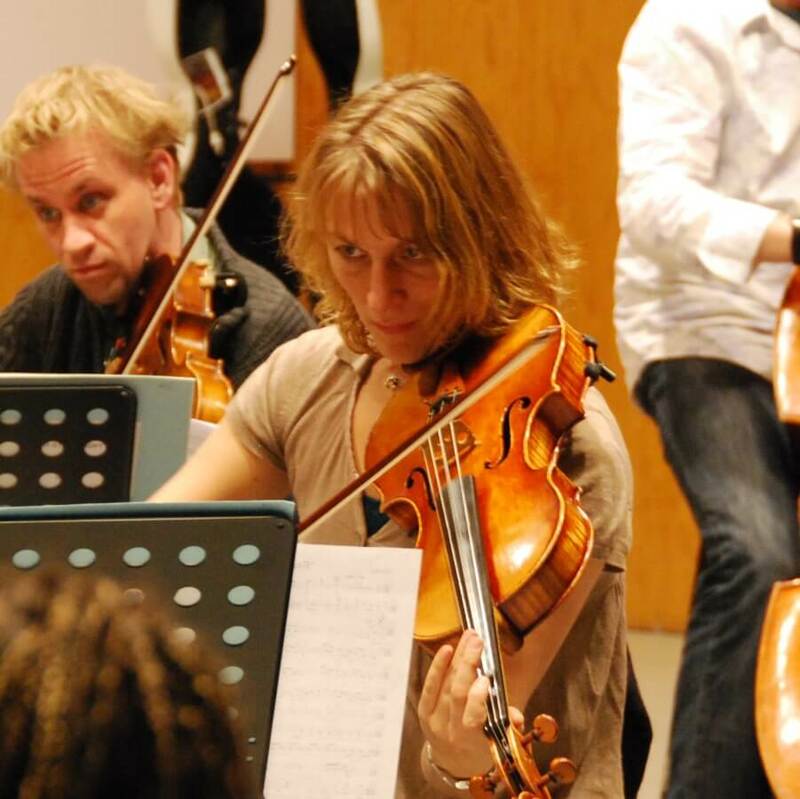 She studied the viola at the Guildhall School of Music with Amanda Stirling, later specialising in baroque and classical period performance, under Michaela Comberti. Rachel has been principal viola of the Avison Ensemble for over 8 years and the Gabrieli Consort and Players since 1992, with whom she has toured Europe and the Americas, performing in most major festivals and cities. Under the Deutsche Grammophon Archiv label, she has recorded much baroque repertoire using small forces, often one to a part, such as Bach – St Matthew Passion, Epiphany Mass, Easter Oratorio and Magnificat, Biber – Requiem, Purcell – Odes and Anthems and Schutz – Christmas Vespers. With larger forces, she has recorded Handel – Messiah and the oratorios Solomon, Saul and Theodora, Haydn – The Creation with a 200-strong choir and orchestra, Mozart – Great Mass in C minor and the magnificent Mass and Motet in 53 parts – Biber’s Missa Salisburgensis. As a guest of the Purcell Quartet for many years, Rachel has performed and recorded much chamber music of Biber, Schmelzer, Purcell and Bach and that of his forbears such as J C Bach, Christian Geist and Dietrich Buxtehude alongside the stellar voices of Emma Kirkby, Michael Chance, Charles Daniels and Peter Harvey. As a soloist playing the viola d’amore, Rachel has broadcast for radio with the BBC National Orchestra of Wales from St David’s Hall, Cardiff. She also regularly appears as a principal player with The Academy of Ancient Music. Working with renowned soloists and directors such as Pierre Laurent Aimard, Imogen Cooper, Mark Padmore and Masaaki Suzuki as a member of the Britten Sinfonia, Rachel enjoys much 20th century and contemporary repertoire, in particular works by Britten, Tippett and Macmillan. Together with the principal players of the Britten Sinfonia, she recently performed Richard Strauss’ Prelude to Capriccio for string sextet at the Queen Elizabeth Hall, which was recorded for broadcast by the BBC. Collaborating with young contemporary dancers at the Pegasus Theatre in Oxford, Rachel recently performed a series of works and improvisations for solo viola.